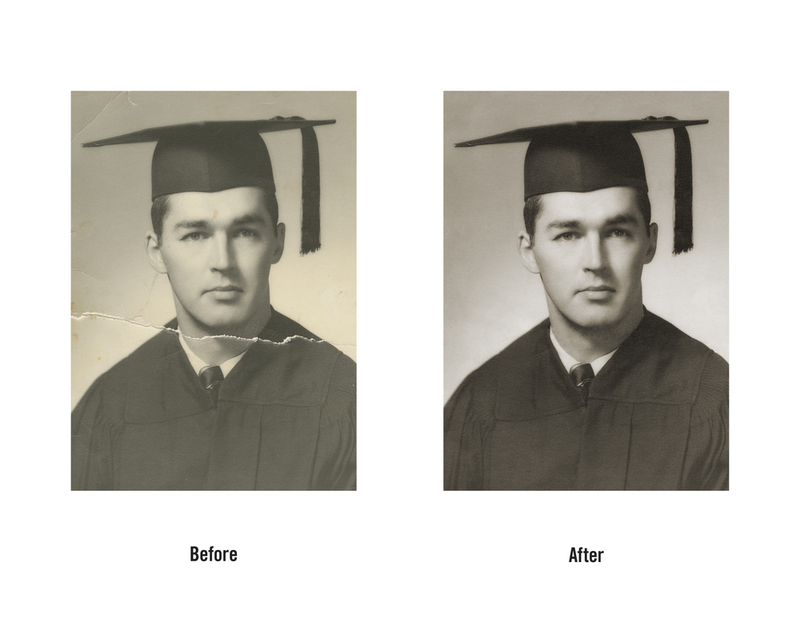 Our experienced staff handles all levels of photographic restoration and has extensive knowledge in digital photographic repair. 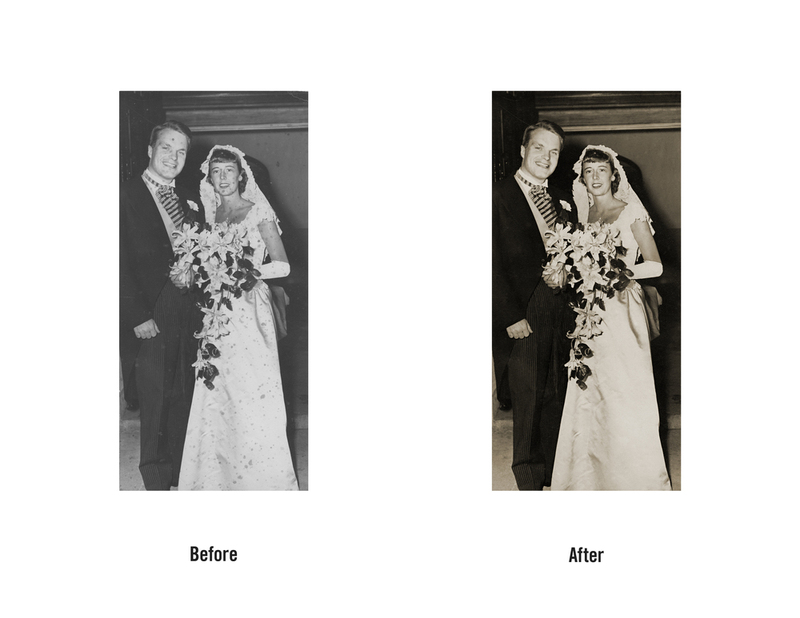 We do not restore the original image but digitally repair your precious photos. 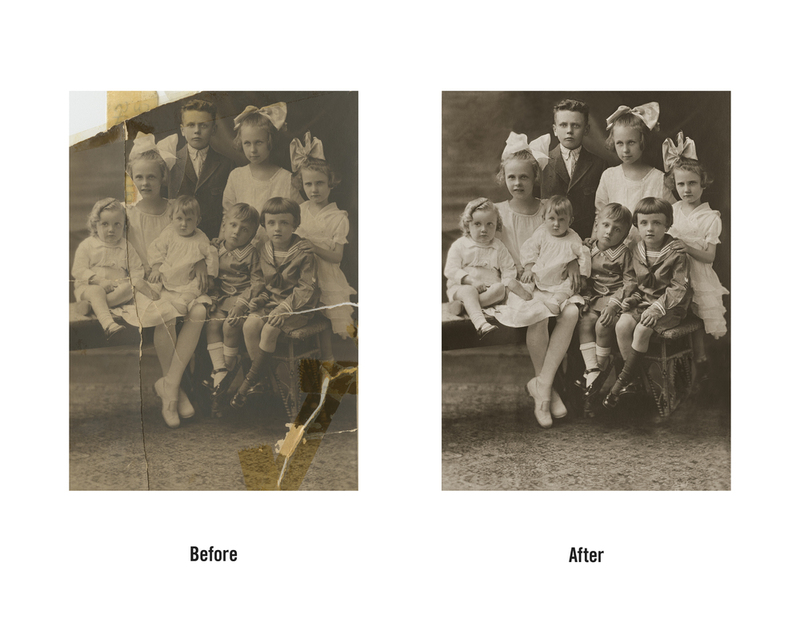 We love to bring vintage images back to beautiful condition even if it has been damaged by time, water, mold or other environmental conditions. Restoration varies greatly depending upon the work needed. 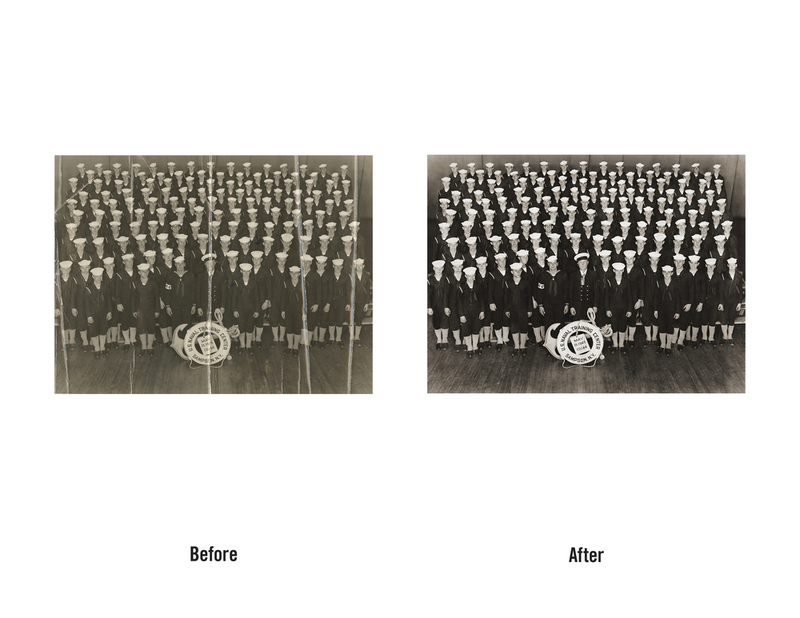 We charge $100/per hour for restoration services. That said we can work within your budget to provide minimal improvements or full restoration. 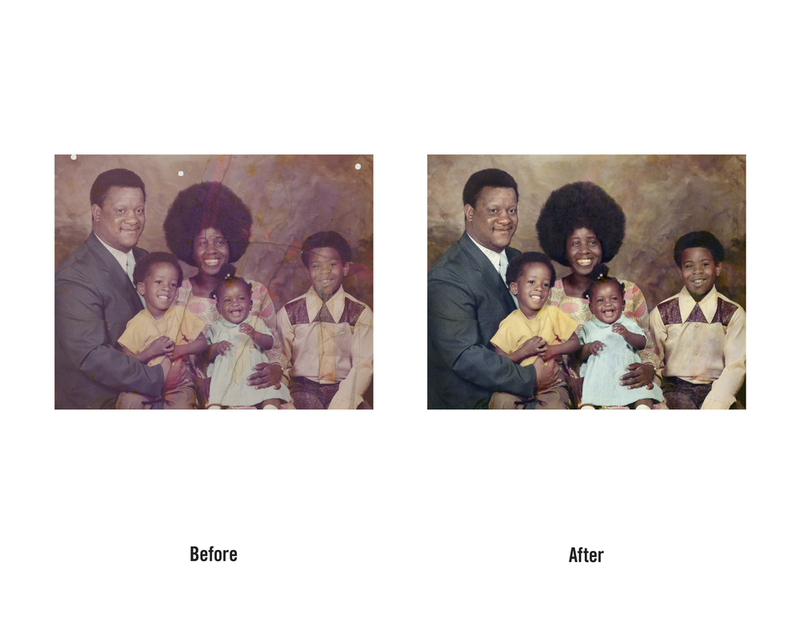 We can limit editing to certain people or a maximum dollar amount. 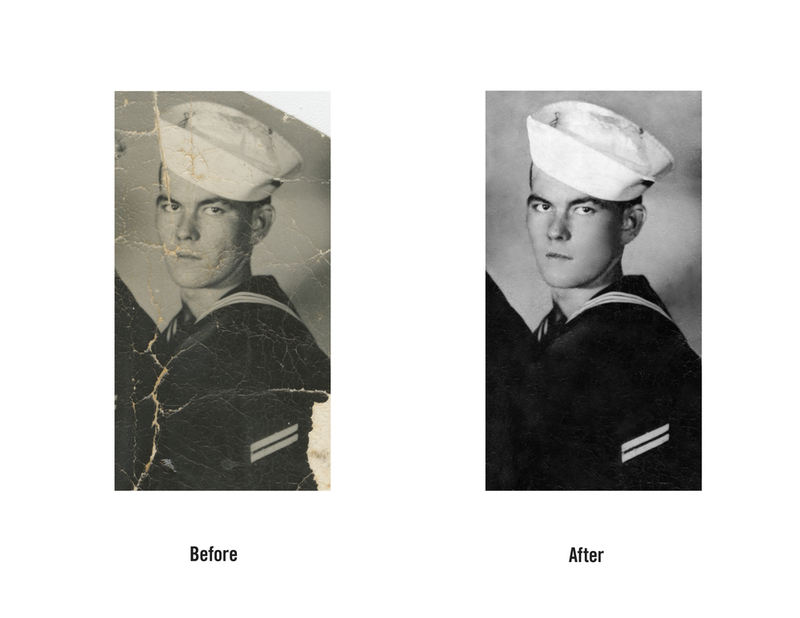 Our goal is to provide you with a beautiful photograph printed on archival acid-free paper that will last another generation. We offer free restoration consultations with our Digital Technicians in our Rockland Office. 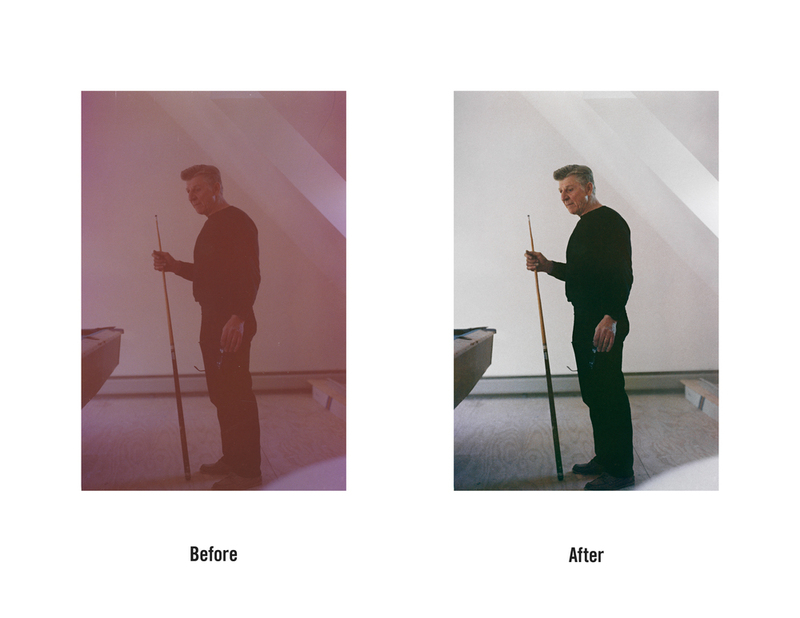 See more of our recent restorations over on our blog and our Instagram account.